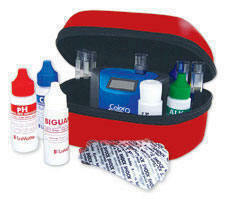 Replacement test reagents and supplies, for every tester we sell. 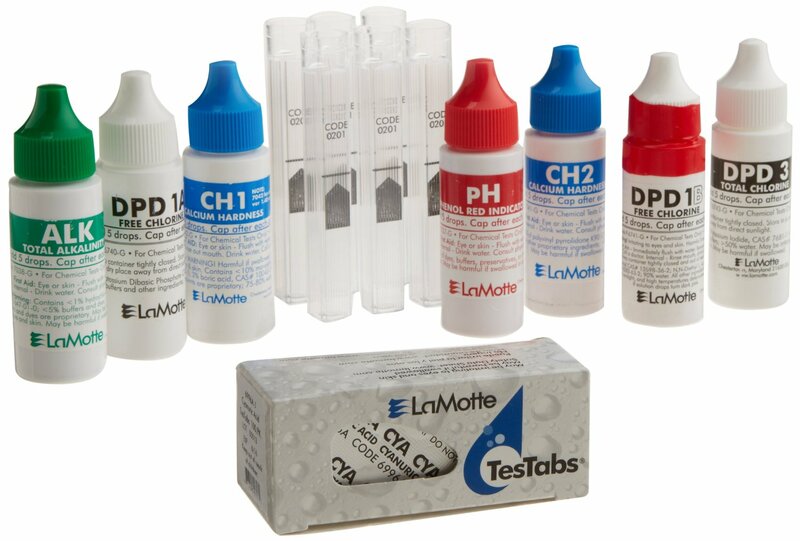 Scroll down to browse through information on the complete line of replacement test reagents and supplies, for the LaMotte line of pool and spa water testers. It's organized to help you find what you need. The Website Store Directory contains an alphabetized listing of all products for sale. We don't just sell products. We help you make a better-informed choice, by providing all the information, you might require. Need ordering help? Scroll down the page, for the Order Desk Telephone Help Number. All items ordered will end up in the same shopping cart, no matter which page of this website, the items are located. All Major Credit Cards and PayPal are accepted. Order some today. Fresh testing reagents are important, to help assure reliable results. Most reagents have expiration dates. We sell replacement reagents and supplies, for every LaMotte Pool and Spa Tester, for homeowner, professional or facility use. If you have any model of ColorQ Tester, WaterLink SPIN LAB, WaterLink Express Lab, Tracer PockeTester, LaMotte Specialty Test Kit and more, we have factory-fresh replacement reagents and supplies. Simply scroll down this page, until you see the tester, that you are looking for. 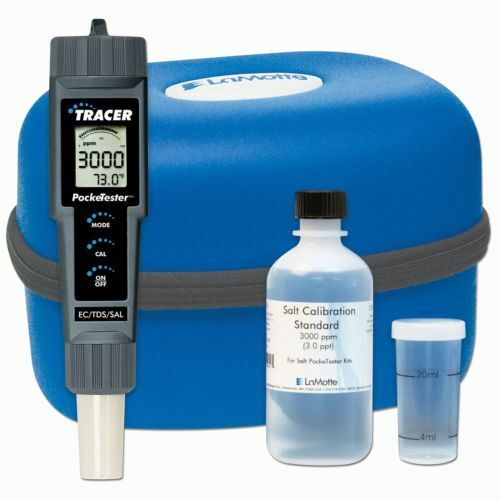 If you are looking to purchase a new tester, use this link, Water Testing Supplies, to find the product, that best suits your needs. If you are unsure or undecided, please feel free to contact us. We are a factory-authorized seller, that understands water testing, and specializes in Pool and Spa Testers. Everything is guaranteed factory fresh. Don't settle for anything less!!! Simply scroll down this page!!! 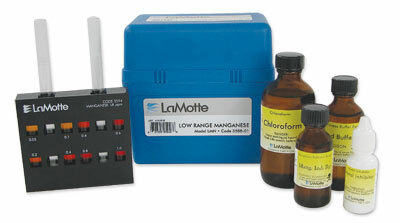 You'll find a complete listing of all replacement reagents and supplies, for every LaMotte tester: including all models of the ColorQ Water Analyzers, WaterLink Express Labs, WaterLink SpinTouch Labs, WaterLink SPIN Labs, Individual Specialty Test Kits, PockeTesters, Insta-Test Strips and more. Scroll Down This Page To Order All Replacement Chemicals and Supplies. Can't find what you're looking for? All inquiries, should be directed to our attention, by sending an e-mail to: askalanaquestion@msn.com. Choose from 10 models, for every pool or spa owner or professional need. No more color-matching or guesswork. Simple pictorial directions. 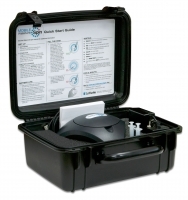 PockeTesters are electronic, dip and read testers, that can perform a variety of important pool and spa water tests: Salt, TDS, ORP, pH and more. 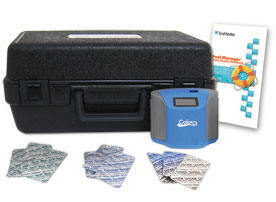 WaterLink SpinTouch Labs are the ultimate Pool, Spa or Drinking Water Testers. So simple. So easy. So precise. Other testers to suit a variety of needs. Occasionally, issues arise that require a more specialized test: Iron, Manganese, Copper, Phosphate. Biguanide, Biguanide Shock and Salt. 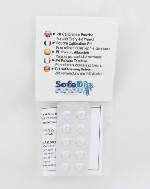 A full-range of instant reading strips, from strips with multiple tests, to test strips for less common, but still important water test factors. Scroll down until you see the appropriate tester, to find the available replacement supplies. All replacement items are organized below, by individual testers. Scroll down and look for your tester, to find all of the replacement chemicals and supplies listed. All testing chemicals come with expirations dates, which vary depending upon type. The use of expired reagents can affect test results. We sell all replacement items, for all the testers, sold on this website. Can't find what you're looking for? Send an e-mail to: askalanaquestion@msn.com. 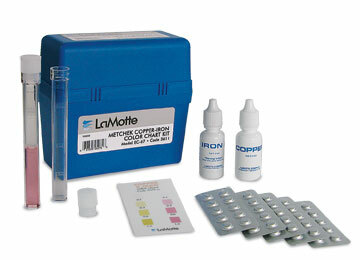 We can send you a PayPal Invoice, for any LaMotte test kit or replacement not listed. Scroll down for individual items, for ColorQ #2056 PRO 7, #2072 PRO 6, #2058 PRO 11 and #2055 POOL 4. Click any image above, for tester information. Scroll down for other tester replacements. Scroll down for individual items, for ColorQ #2064 PRO 7-Plus and #2067 PRO 9-Plus. *** International and orders outside of Continental U.S. - see comments below. TesTabs PRO 9 100 TesTabs for each of 9 test factors: Free Chlorine, Total Chlorine, Bromine pH, Total Alkalinity, Calcium Hardness, Iron and Copper. 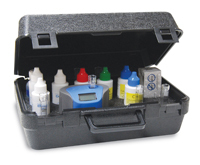 TesTabs PRO 11 100 TesTabs for each of 10 test factors: Free Chlorine, Total Chlorine, Bromine pH, Total Alkalinity, Calcium Hardness, Iron, Copper and Biguanide Shock. Contains enough to perform 144 Biguanide tests, using a liquid reagent. Scroll down for individual items, for ColorQ TesTabs Models #2051, #2057, #2060 and #2069. Scroll down for individual items, for ColorQ 2066. Click image above, for tester information. Scroll down for individual items, for ColorQ 2062 Biguanide Pool/Spa 5. Occasionally, due to the seasonal rush, there could be a backlog of orders, causing a delay of about 1 week. Hopefully, in most cases, orders will ship sooner. Tracking will follow, as soon as the shipment is made. Shelf-Life of the SPIN Discs, stored properly away from heat or light, is two years. Tests for: Free Chlorine, Total Chlorine, Bromine, pH, Calcium Hardness, Total Alkalinity, Cyanuric Acid, Copper, Iron, Salt and Borate. Tests for: Free Chlorine, Total Chlorine, Bromine, pH, Calcium Hardness, Total Alkalinity, Cyanuric Acid, Copper, Iron, Salt and Phosphate. Tests for: Free Chlorine, Total Chlorine, Bromine, pH, Calcium Hardness, Total Alkalinity, Cyanuric Acid, Copper, Iron and Salt. Tests for: Biguanide, Biguanide Shock, pH, Calcium Hardness, Total Alkalinity, Copper, Iron and Borate. 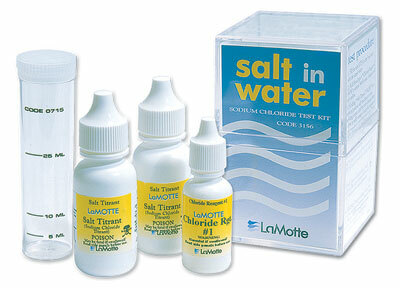 Tests for: Free Chlorine, Total Chlorine, Bromine and pH. Makes limited testing more economical. 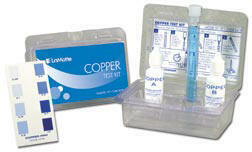 (Each disk performs 3 sets of Free Chlorine, Total Chlorine, Bromine and pH tests) Can be used on 3 different samples. 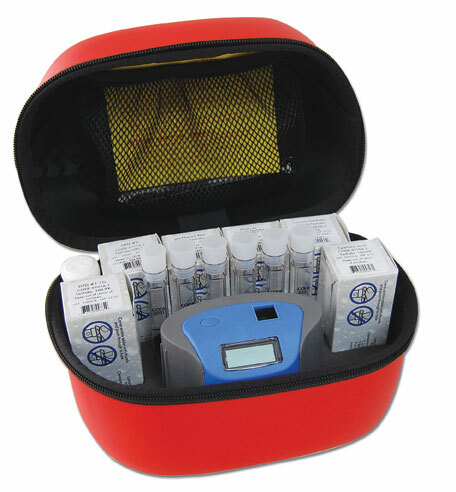 (Each disk performs 3 sets of Free Chlorine, Bromine, Total Alkalinity and pH tests) Can be used on 3 different samples. * All testers or software purchased before January, 2017, will require a software or firmware upgrade, in order to perform the Salt test. ** The NEW #4334-H and #4335-H disks can be used to perform the indicated tests, on 3 different water samples. This reduces cost, when only limited testing is required. However, the 3 testings must be done within 24 hours, to avoid degradation, of the unused chemicals. This limitation best suits retail or commercial users. The WaterLink SpinTouch models are designed to use this disk. The original WaterLink Spin Labs require a DataMate Software upgrade and new spin cover, to make use of this disk. The other Spin Disks can still be used, without any upgrade, with all models. *** The #4336-H disks are for testing drinking water only. The #3585 SpinTouch DW comes, from the factory, set to test drinking water. 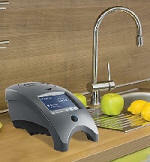 All other SpinTouch models are capable of doing the drinking water tests, if you go into settings and change from "pool and spa" to "drinking water". 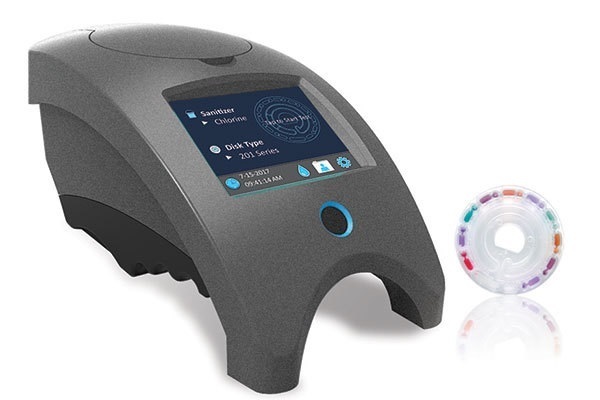 All SpinTouch models use the same CFP Photometer, so it is possible to switch from pool and spa testing to drinking water testing, by changing the setting and using the appropriate Spin Disk. The WaterLink SPIN Discs are not shipped out of the U.S.
* For optional use only, with the WaterLink 3. * A $9.99 handling charge will apply to Continental U.S. Orders, under $75.00. U.S. Orders outside of the Continental U.S. may require some additional charge, based on quantity and destination. (replaces item no. 6004-L) 500 ml. * For use only with the appropriate Tracer Sensor Probes. Click any image for tester information. Use only as directed, by the test kit instructions. 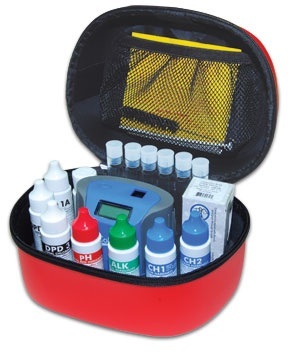 Not Included with Tester purchase - use periodically, at least monthly, for best pH test reliability.